Robert W. Sullivan IV is a Freemason, philosopher, historian, antiquarian, jurist, lay theologian, writer, mystic, radio-TV personality, best-selling author, CEO and lawyer. The only child of antique dealers, he was born in Baltimore, Maryland. Mr. Sullivan graduated high school from Friends School of Baltimore (the oldest private school in Baltimore, founded in 1784) in June 1990. He attended Gettysburg College in Pennsylvania becoming a brother of Lambda Chi Alpha (Theta Pi, member ... Más informaciones #1199) fraternity. He earned his B.A. in History in 1995. Mr. Sullivan spent his entire junior year of college (1992-1993) abroad at St. Catherine’s College, Oxford University, England studying European history and philosophy. While in Oxford Mr. Sullivan was a member of the Oxford Union, the Oxford University Conservative Association, and the Oxford Law Society. Upon returning to the United States in June 1993 he took a year off from Gettysburg College to serve as office director of the Washington International Studies Council located on Capitol Hill. Prior to attending law school in the United States he spent the Michaelmas Term 1995 at Trinity College, Oxford University studying jurisprudence and international law. From 1997 to 2000 he attended Widener University School of Law, Delaware Campus, from where he received his Juris Doctorate. Mr Sullivan has been admitted to the State Bar of Maryland (2000) as well as the District of Columbia (2002). Mr. Sullivan is a Freemason having joined Amicable-St. John’s Lodge #25, Baltimore Maryland in 1997; he became a 32nd degree Scottish Rite Mason in 1999, Valley of Baltimore, Orient of Maryland. The Royal Arch of Enoch: The Impact of Masonic Ritual, Philosophy, and Symbolism (2012, re-published 2016) was his first published work being the product of twenty years of research. In 2014, Sullivan published his second book, Cinema Symbolism: A Guide to Esoteric Imagery in Popular Movies which was re-published in 2017. His third book, Cinema Symbolism 2: More Esoteric Imagery from Popular Movies, was likewise published in 2017. That same year, in December, he published his first work of fiction A Pact with the Devil. Mr. Sullivan is currently working on five books at once including Freemasonry and the Path to Babylon, Cinema Symbolism 3, and a sequel and prequel to A Pact with the Devil. Mr. Sullivan has been on numerous radio and TV shows including (but not limited to) NHK Japanese World Television, Coast to Coast AM, John B. Wells’ Ark Midnight and Caravan to Midnight, Sean Stone’s Buzzsaw, Whitely Strieber’s Dreamland, Truth Frequency, Gnostic Warrior, Fade to Black, The Higherside Chats, Red Ice Creations, Barbara DeLong’s Night Light, Miguel Conner’s Aeon Byte Gnostic Radio, Veritas Radio, and Shirley MacLaine’s I.E. Radio among countless others. In January 2014 he was Graham Hancock’s Author of the Month. Robert is the CEO of Deadwood Publishing, LLC., the exclusive publisher-distributor of his books. A lifelong Marylander, he resides in Baltimore. Bev are you over here? Have a great Sunday! 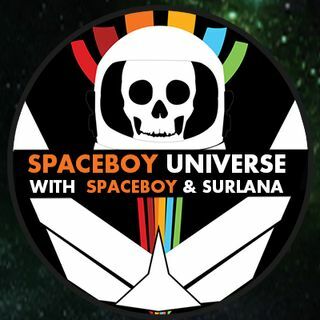 Thanks Surlana and Spaceboy!